CCC-633EZ - Loan Deficiency Payment (LDP) agreement and request - MUST BE SIGNED AND ON FILE WITH FSA OFFICE BEFORE HARVEST. The 2nd Tuesday of each month, Mary Rhoades Farm Loan Officer is in the Eads office until 4:00 p.m. If you need to schedule a visit with Mary you may call her at the Lamar office @ 719-336-3436. Scheduling an appointment is the best practice that way Mary will bring any producer loan folders or other information with her to the office. 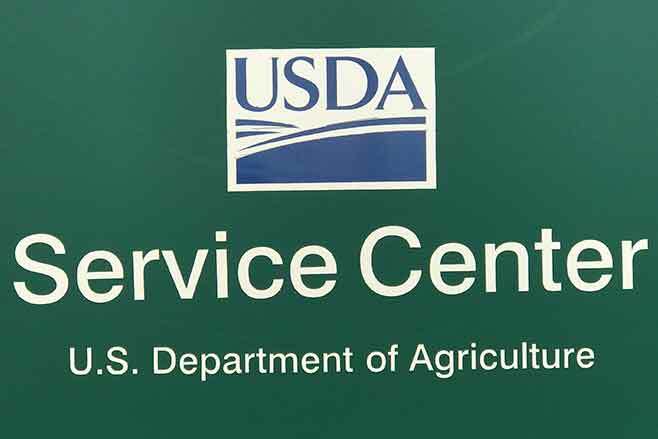 The 2014 Farm Bill requires a customer receipt to be issued for any agricultural program assistance requested from FSA - Farm Service Agency, NRCS - Natural Resource Conservation Service and RD - Rural Development. Receipts include the date, summary of the visit and any agricultural information. Program and/or loan assistance provided to an individual or entity. Electronic receipts for acreage reports will begin on August 1, 2016. A service is any information, program or loan assistance provided whether through a visit, email fax or letter. As harvest is nearing and producers are wishing maybe they had a bin or two to store the crop. FSA does have the low interest FSFL - Farm Storage Facility Loan program to build or upgrade existing facilities. The low- interest funds can be used to build or upgrade permanent facilities to store commodities. Eligible commodities in Kiowa County are those that are general to the area such as wheat, grain sorghum, corn, oilseeds harvested as whole grain. Producers do not to demonstrate the lack of commercial credit availability to apply. The loans are designed to assist a diverse range of farming operations, including small and mid-sized businesses, new farmers, operations supplying local food and farmers markets, non-traditional farm products, and underserved producers.